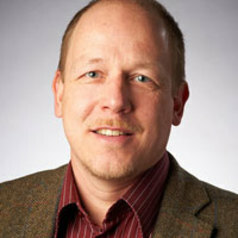 Aki Salo joined the University of Bath in March 1998 and he is currently Senior Lecturer in Sport Biomechanics. He obtained his PhD from the University of Exeter in 1999 and was awarded British Association of Sport and Exercise Sciences Fellowship in 2012. His main research theme is to characterise athletes' technique. The purpose is to understand the fundamental principles underlying performance in order to improve individual technique and efficiency. Aki carries out most of this research in sprint and hurdle events in Athletics, although the same principles can be adapted to other sports as well. For example, a project has recently been started to enhance start performance in ice-track sports. Aki has supervised four PhD students to completion and is currently supervising three further post-graduate research students. He has a close working relationship with UK Athletics studying and providing support to their sprint, hurdles and relay squads. This involves being a member of the support staff in recent major championships including the Beijing Olympics 2008. Aki's relay work has been featured internationally including the Washington Post and the New York Times. He is also working with UK Sport and British Skeleton Ltd in new projects. Aki also collaborates with colleagues in engineering using motion analysis systems innovatively, for example, in modelling projects of bi-stable or unsymmetrical composites.